I’m starting to accumulate an impressive collection of these type of colors! I really had to narrow it down to get to these seven. I eliminated the ones that were more green (MUG TYPHOON, VIOLET VOSS SMASHLEE…) or blue (MUG MERMAID, ABH VENEZIA, LOREAL ENDLESS SEA…) etc. I did want to include MAC STEEL BLUE PIGMENT but I couldn’t find the damn thing. So let me tell you a little bit about each color and hopefully it will help you decide which ones to get and which ones to skip. 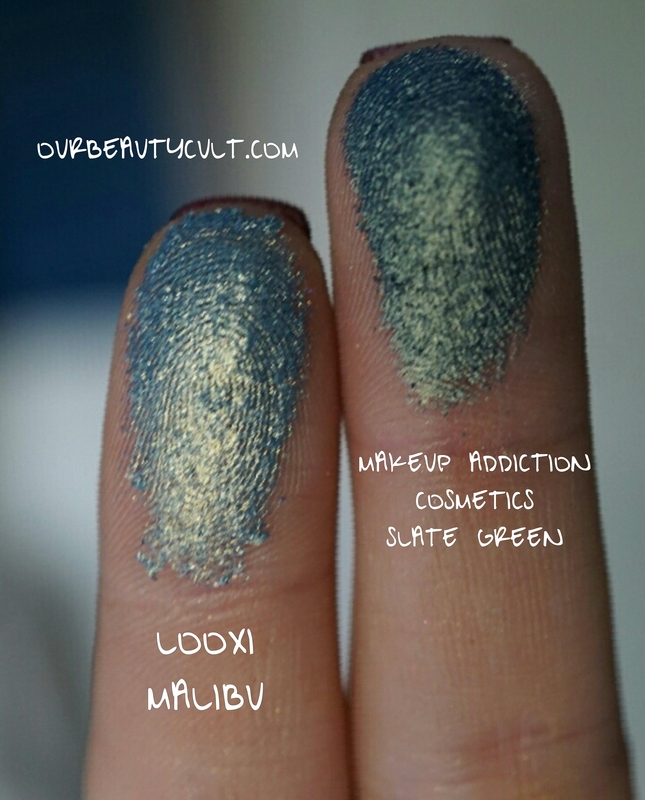 LOOXI BEAUTY MALIBU ($5, SAVE 20% WITH THE CODE: TANNER20)- Malibu is a bit more loosely pressed than some of her shadows. 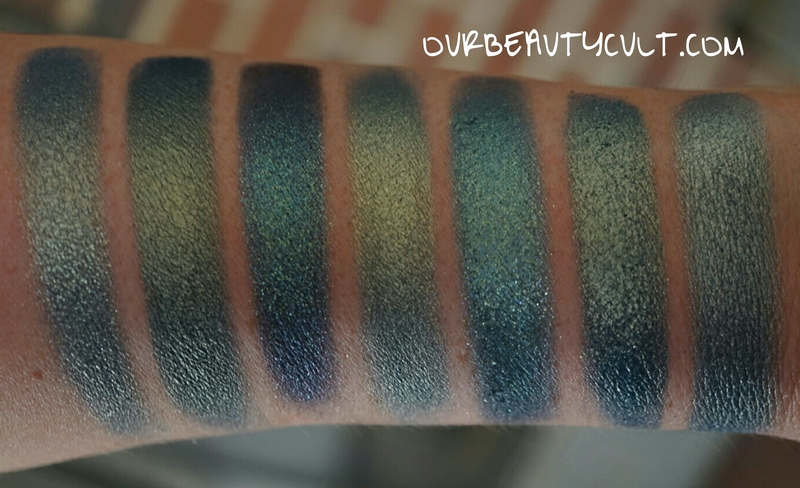 I personally like this in duochrome shadows, I think it makes the shift strong. I think that Malibu has the most gold shimmer out of group. MAKEUP ADDICTION COSMETICS SLATE GREEN (£29, MEADOW PALETTE)- MAKEUP ADDICTION is a based overseas (I’m pretty sure they’re in London) but they ship to America quickly and for a reasonable price. SLATE GREEN is in their MEADOW PALETTE. As of right now, they don’t sell individual eyeshadows but that may change in the future. SLATE GREEN is more green than the others (hence the name). The texture is also more dense and creamy than most of the others. 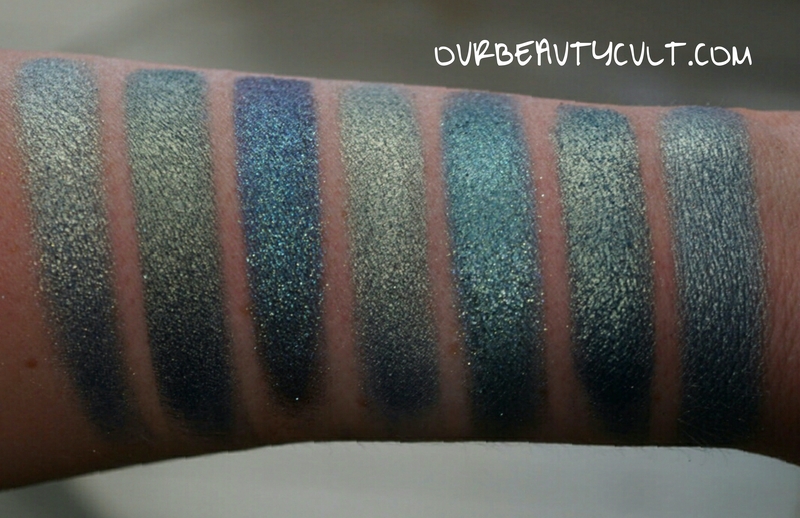 URBAN DECAY CRUX MOONDUST SHADOW ($21)- this is one of UD new MOONDUST shadows available exclusively on their website. The MOONDUST SHADOWS have a glittery formula that will work best with a glitter adhesive or setting mist. 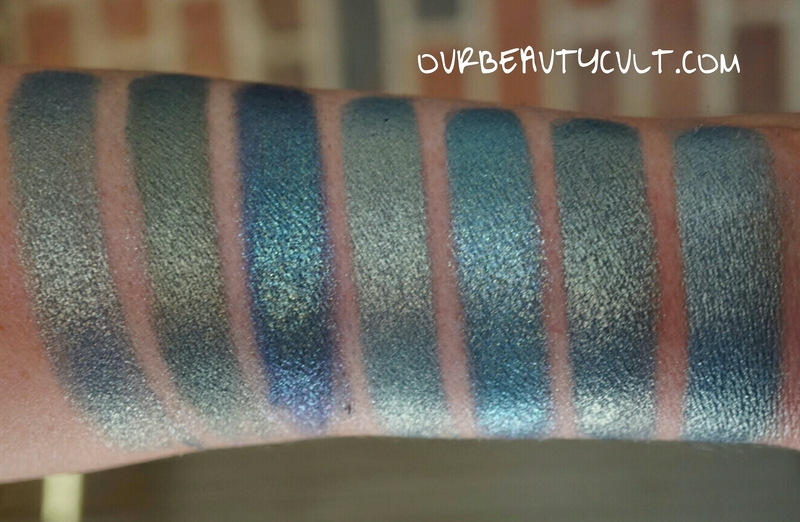 CRUX has a deep blue base with a teal duochrome and green glitter. It also a bit of a purple shift. 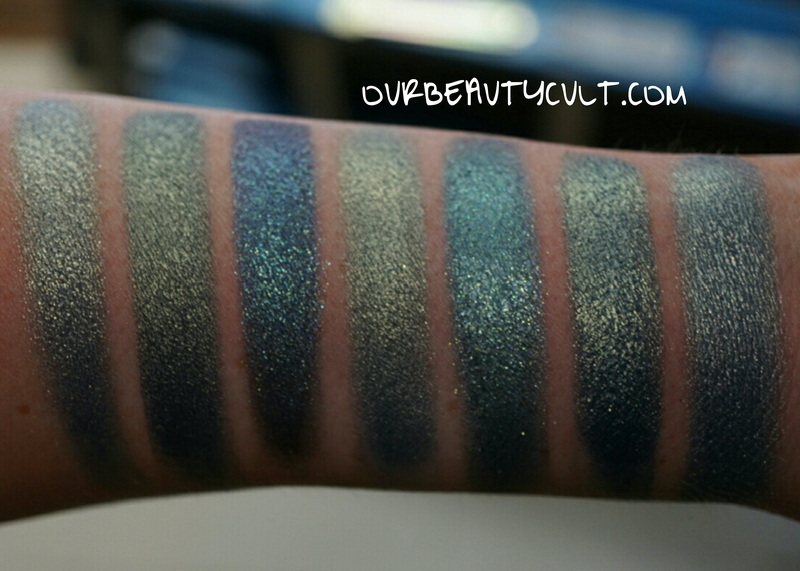 MAC TRY ME ON DAZZLESHADOW ($18)- the DAZZLESHADOW formula is very similar to the MOONDUST formula, IMO. They also have tons of nearly identical colors. TRY ME ON is very similar to CRUX. The only difference that I can detect is that it’s a bit lighter and doesn’t have the purple shift. 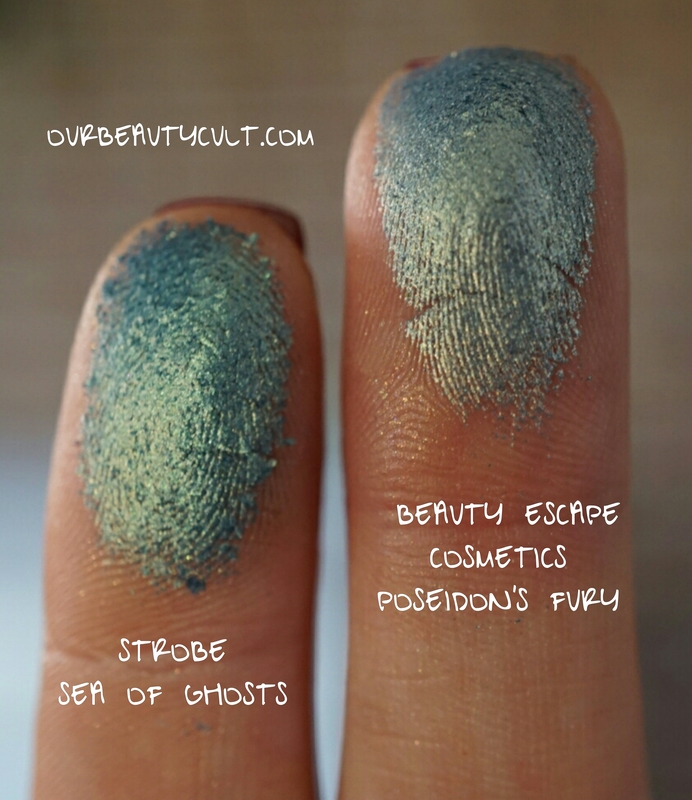 STROBE COSMETICS SEA OF GHOSTS ($6, SAVE 20% WITH THE CODE: TANNER)- SEA OF GHOSTS has a less smooth texture than the rest of STROBE’S eyeshadows. It has larger pigment particles and lots of glitter, making it very dramatic with lots of shift. It’s a green and teal duochrome with gold iridescence. SLATE GREEN, CHAMELEON and SEA OF GHOSTS are the most green. 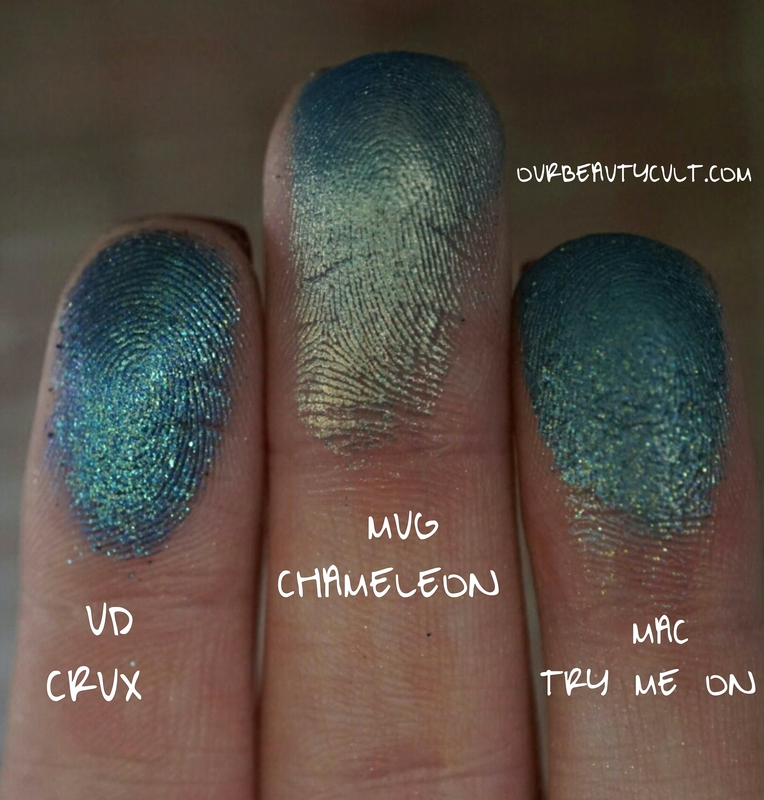 CRUX and TURN ME ON are the most glittery. MALIBU and POSEIDON’S FURY have lighter blue bases. While they all have subtle differences, I don’t think you need more than two of them. Which ones you choose depends on your personal color and formula preference.